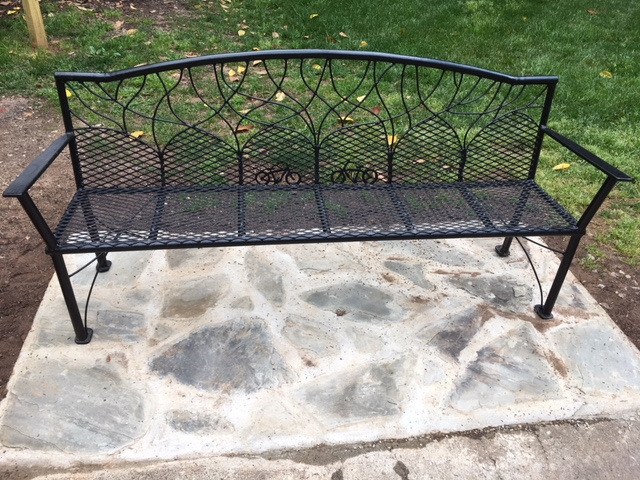 A new bench has been installed by the Swamp Rabbit Trail at the bottom of the hill to Falls Park. 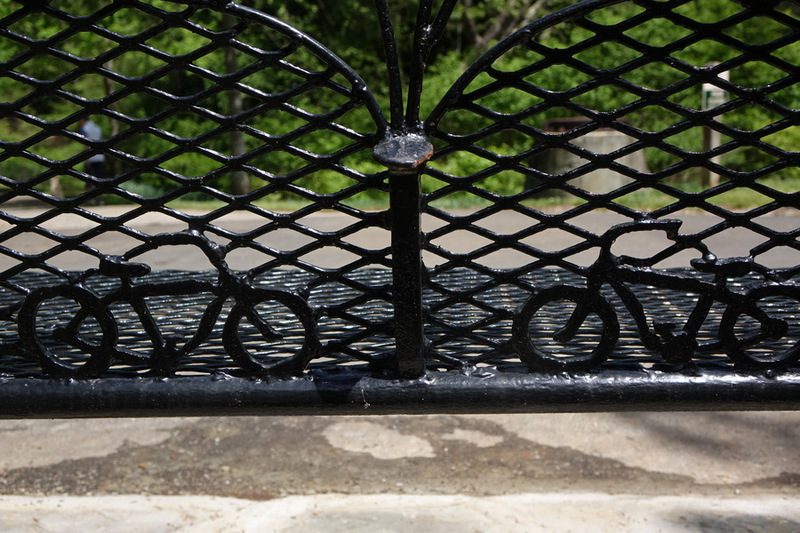 It contains elements of the abandoned railway converted to a greenway trail: bicycles that occupy it today and railroad spikes that would have held the old railway together. Creative, and a good spot to sit.